Advice Tip: Always keep up with your maintenance on your extensions, as a general rule this should be at least 6-8 weeks otherwise you will start to get matting at the root just like this picture. This is also what happens if you do not brush over the bonds with a loop or soft bristle brush and pull your bonds apart at the root. Leaving your hair to get into this situation will no longer be a case of routine maintenance, hair extensions are an investment and must be cared for to remain in tip top condition therefore take care and maintain. Please read our aftercare guide here. General pliers used by extensionists have a short handle. The common rings used have a thick wall thickness. This means that if the incorrect pressure is applied they will slip out. Most hairdressers due to incorrect pressure or arm strength cannot apply these correctly and a percentage slip out. Have you ever asked yourself why 10% slips out? The simple answer is ...some are put in tighter than others. Try an simple experiment for yourself. 1.Buy yourself a plier (without teeth or flat beak with no grooves) with longer (6 inch or more) handles. 2.Use the inside of the beak closest to the handle or pivot of the pliers. First clamp on that extension in the usual way and using your short pliers then go over the same ring with longer handle pliers and crimping on the inside closest to the pivot. You will feel the extra pressure and your ring clamping down that little down further. Also pay close attention to the amount of hair that is pulled through to secure the extension. Make sure you get a popping sensation and get the most hair you can possible pull through that ring. A reduced the amount of hair will result to an uncomfortable experience or pinching and possibly resulting to hair being pulled out. Never compromise the amount of hair to secure the extension. 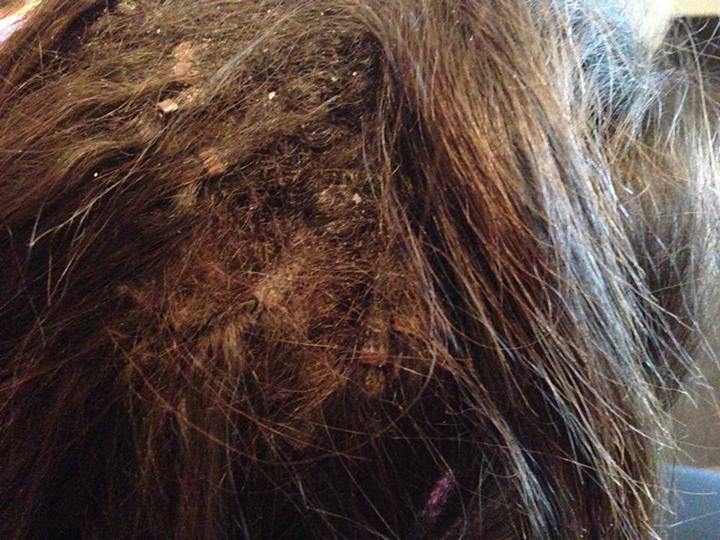 This will cause problems especially on fine hair customers. We recommend the salon stainless plier tool for precision application click here to purchase yours. Our new range of of Clip In Extensions by Beauty Works are featured in this issue of Hello Magazine - Volume Deluxe Remy 100% Grade AAAA Russian clip-in hair extensions and how to get your own celebrity style hair in minutes. WANNABE WAGS got a sneak peek at one of Alex Curran's beauty secrets when a gust of wind revealed her trendy hair extensions. Blonde Alex, wife of Liverpool and England star Steven Gerrard, showed off a WEFT weave - the latest must-have hairdo for fashionistas. This is one thatch of the day all girls will be tuning into. Naomi Campbell and Victoria Beckham have each suffered with thinning patches in their barnets after using traditional extensions. And while the old-style extensions start at £350 and take up to six hours to do, wefts cost from just £50 and take about an hour. HairPlanet Wefts start from as little as £39.99. Plus they're kinder to the hair and you don't see all those pesky joins. Wefts specialist Mary Roberton, of London's HOB Salons, says: "We've seen a trend of clients wanting this more affordable lengthening option. "It puts less stress on the root, due to being based along a wider section of hair. "It also gives the hair a chance to build up natural oils, which helps hair grow." Here are the three easy steps for a weft like Alex's. Corn-row the hair where you want to add the weft. A corn row is a tiny braid laid tight to the scalp. Do this left to right, at least three rows. Fold the weft in half and lay the ridge next to the top of the corn row. Sew the weft near the root and finish with a double knot at the end. Comb your hair over the corn rows and weft to hide the joins. And there you have it - but don't get caught out by the wind! Aside from the fact that long hair inexplicably seems to universally drive men crazy, the beauty of long, thick hair is the flexibility it gives. Up-dos, all kinds of curls, straightened hair, plaits, braids long hair gives you the option of dozens of looks you`d never have with short hair. All women at some point will have longed to change their hair instantaneously. It used to be that quick hair changes went one way shorter. For many years the only way to lengthen hair without months and months of careful growing and maintenance was to sit through hours at a hair salon as individual hairs were attached to longer hairs, a truly arduous and expensive exercise. Growing hair long has also long been a difficult exercise. To grow hair long it needs to be regularly trimmed, with hair quality, colour and texture diminishing without attentive maintenance. Many women simply give up after a couple of months, but they needn`t anymore. With the advent of clip in hair extensions, thicker, longer hair has never been more within reach for women around the globe. You might question the value of clip in hair extensions and for good reason. Gaining natural looking, thicker, longer hair in minutes may seem too good to be true. But with the advancements in clip in hair extensions, the rate of women being perfectly satisfied with the results of clip in hair extensions are rising steeply. For example, you only have to look on any red carpet to see how far clip in hair extensions have come. You might remember having noticed that a certain celebrity has magically changed overnight from a short cropped do to thick long hair. Chances are, they`re sporting clip in hair extensions and the proof is in the pudding you`d probably never have guessed, as it looked so natural. A key reason why clip in hair extensions now look more natural and effective than ever before are that the range of clip in hair extensions now on the market ensure that women are able to find ones that perfectly suit their own hair. A primary consideration when choosing clip in hair extensions are the shade and texture of your own hair. It`d of course look disastrous if you chose to clip in hair extensions that were many shades lighter or darker than your natural hair. Your extensions are also likely to look rather out of place if you pick extensions that are a different texture to yours ? so if your hair is extremely fine, you don`t want to go and pick extensions that are thick, as they`ll look completely out of place among your natural hair. Clip in hair extensions are made from natural human hair, so you`ll find that if you pick extensions very similar to your natural hair, you`ll be home free to go ahead and thicken and lengthen your hair very effectively. And if you`re worried that clip in hair extensions will damage your natural hair, you needn`t be. Clip in hair extensions are not only subtle, they clip firmly into your natural hair without hurting your scalp or stressing your natural hair. Still not convinced? Take a look at the range of clip in hair extensions on the market, particularly high quality ones such as our range of 140g Indian Remy Human Hair. You will be well on your way to finding a quick, inexpensive and easy way to tapping into a fun and temporary fashion statement in no time at all! If you are a lady who is getting a little worried about your hair thinning, it may be time for you to consider the process of the extension. In case you don't know what that is, we would explain that it is a process by which real or synthetic hair is attached to your own natural hair. There are three ways in which this can be done. First, there is the "weaving" method where the additional hair is sewn into a lady's own. Then there is the "fusion" procedure where the extensions are fused to the persons natural hair with the help of adhesives. And finally, there are clip in hair extensions. These are extensions which are clipped on to your own hair with the help of micro clips. The great advantage of Clip in Hair Extensions is that it is the simplest of the three methods to add on or detach. While you will require the services of an "extensionist" to insert the additional hair in both the "fusion" and "weaving" methods, Clip In Hair can be attached and detached by yourself. They are so simple and convenient to use. With Clip In Hair, you need have no fears about your friends finding your looks monotonous. You can change your style by getting different types and colours of Clip In Hair Extensions whenever you want. This won't be possible with the other two methods. Given all of these great advantages, wouldn't you like to try out the Clip In Hair Extensions? Are you sick and tired of your current hair style and want to change it immediately? Hair extensions can add instant length volume, thickness or highlights to your hair in just a few hours. They can be attached to your natural hair using many different methods available today. For example, there is bonding, cold and warm fusion, sew-in, braid-in, heat-sealed in and even clipped in. The hair that is used can be synthetic or human and varies in price and quality. The method of attachment often times dictates the type of hair that will be used.Hair extensions can be a little pricey, especially if you are going for quality. You definitely get what you pay for with hair extensions, as they are not cheap. Many stylists receive special training from various hair extension companies and become certified to perform specific methods of attachment. 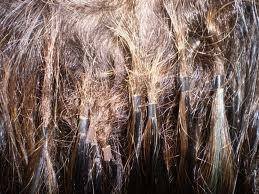 Hair extensions are not a one size fits all, and some methods may not be suitable for certain hair textures and conditions. You have seen a photo of Beyonce, Paris Hilton or Cheryl Cole and you want that look! How do you know what to look for or ask for? There are over 120 different hair extension shades, different lengths, different density, European straight, straight, silky straight, yaki, jerry curls, deep waves and so the list goes on. How do you know the difference between Indian and Chinese hair, Russian hair or brands such as Cinderella, Great lengths or Afro? There are claims of real remy hair, which is often spelt in different ways, virgin hair, and hair just like human and super synthetic hair! Hair you can clip in, braid in, stitch in, glue in, attach, hook or just simply put on like a cap! Then you have ponytails, front lace wigs, full lace wigs and wigs. Women's toupee, men's toupee and special hair pieces to disguise bald patches. Unless you have used a supplier before, or you have had, your hair extensions fitted professionally or by a friend. It is certainly challenging when you venture out into the world of online hair extension shopping with very little experience. So what should be the guidelines? Moreover, are there any regulations out there to protect you? Well the answer to that is NO! The supplier might not be protected from the manufacturer in terms of quality, content and descriptions, and the end user could suffer the same fate apart for the normal acts that protect consumers. So how do you minimise the risk of wasting lots of money when shopping online for hair? The first place to start from is know what you want to achieve. If you want to achieve short term length and volume, a style that can be added or taken off any time, then you could look for temporary systems such as pony tails, clip-In's or wigs. If you are looking for semi permanent fitting that do not use glues or you are visiting a hot country on holiday then perhaps you should consider wefted hair, which is often applied in as a full head weave or integrated. If you are looking for a solution that will cover up temporary hair loss or thinning hair this could be approached in a variety of ways. I would suggest you go to an expert for advice because just purchasing hair from the internet and applying it to sensitive areas could do more damage than good. If you want a high fashion look, smooth, flat and free flowing then specialist applications using wefts or bulk hair would be an option. Other tools such as hot or cold bonds, micro rings or hair loop systems would be used to attach the hair. Colour matching could also be an issue. Viewing colour charts on the internet only gives a sample view that can often be distorted from loading the image up. If your hair has been coloured then the colour matching might be a little more complicated and a technician would need to assist in the colour match procedure, which might involve more than two shades. When you visit YouTube, there are many candidates who have opted to upload videos on how to do it yourself. This can be very appealing if finances are an issue. However, because hair extensions have become so popular, this has help to drive down the application prices so it is worth shopping around for a hair extension technician that is qualified and can show you some of their work.